Way back in the early 1970s a young John Z DeLorean was in charge of engineering at GM and he directed his engine design group to find something to add some pep to the fuel conscious Vega subcompact. The result was an all-aluminum engine with a twin-cam cylinder head that was fed via fuel injection and exhausted through stainless headers to produce the first domestic high revving 4-cylinder sport compact...but tightening emissions windows (and unleaded gasoline) meant that it was neutered before it could sow any wild oats. 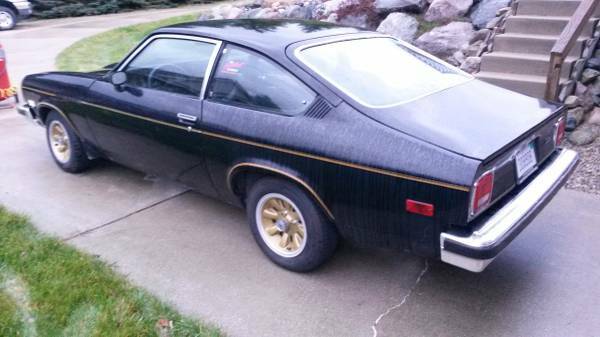 Find this 1975 Chevrolet Cosworth Vega #1782 offered for $4,200 in Lake Orion, MI via craigslist. In order to make lots of power from a small 4-banger, you need to add forced induction or revv the beetlejuice out of it. Early prototype Cosworth Vegas tested in 1971 made in excess of 170 horsepower as they pulled cleanly to the 7000 rpm redline...but the final production cars used shorter duration cams and smaller valves. When the smoke from the final emissions tune cleared in 1975 the 2.0 liter engine put out 110 horsepower at 5,600 rpm...hardly the road rocket that was promised 4 years earlier. 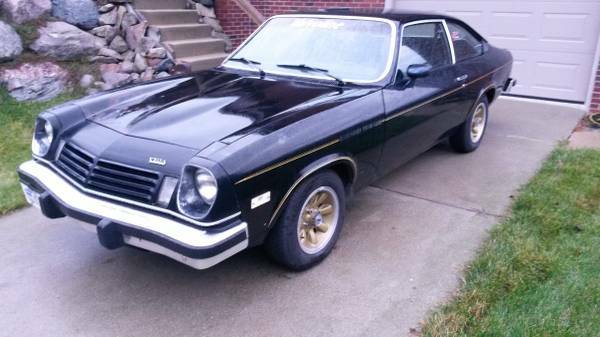 However, today's Cosworth Vega is no ordinary people's car. According to the seller it was campaigned in SCCA club racing a few decades ago and won the 1991 SCCA Autocross Solo II H stock class at nationals. It runs an engine that has been souped up per allowable regulations -- which the seller says gives about 30 horsepower over stock...but I know a few nationally capable autocrossers, and any national champion worth his grits is going to have all kinds of extra cheaty goodness inside that engine. Breathing through dual Webers, it probably makes the 170hp of that original concept car, and when this engine blows up, it comes with the original engine as a spare. If this thing is not a rusted hulk, it might be a decent buy at or near the asking price. 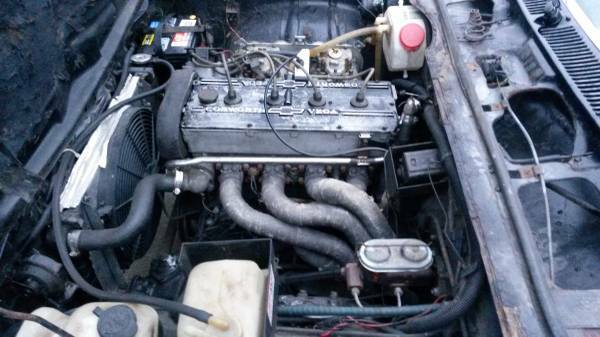 You even get a spare engine. Up here in the salt belt, Vegas dissolved before your eyes. As I recall, one of the General's (typical) shortcuts was that they added a second layer to the firewall, to solve some problem that came up late in testing. Of course the two layers acted as a perfect incubator for Tin Worms, which fed on the road salt that inevitably infiltrated the area. Vegas would just break in half. Such a pretty car, though. They are very pretty cars. The Kammback is still one of my favorite wagon designs. Back in the day I was intoxicated by just the name: Cosworth (also perhaps just plain intoxicated). These were not an inexpensive car. They were however a cheap car. The engine was a treat to look at and it went fairly decently compared to other cars of the vintage. The disappointment in driving a really beautifully kept car was that at the end of the day, and by the end of his street, it was profoundly still a rattle-trap POS Vega. I still am drawn to look admiringly at the notion, and quickly turn away because of the execution. "These were not an inexpensive car. They were however a cheap car." " and by the end of his street, it was profoundly still a rattle-trap POS Vega." "I still am drawn to look admiringly at the notion, and quickly turn away because of the execution."